Life would have been so good without sickness, ill health and infection. One of the most dreaded organisms are bacteria. They are microscopic which means you cannot see them with naked eye. They can be mildly infectious to severely fatal. Bacteria can rapidly spread from one person to another and from one system to another in a single person. Scientific advancements may have found cure for many of these diseases through chemical compounds, but there are many hidden cures in some of the natural resources too. The Antibacterial essential oils are classic example of that. The knowledge of essential oils curing illnesses is not new to mankind. All the ancient civilizations have used this technique in some way or another. One of the main reasons why modern day medical science finds it difficult to accept them is because they do not fall into the typical chemical composition that the scientists can analyze. However, alternative medicine from naturally occurring products can be very effective anti bacterial agents. 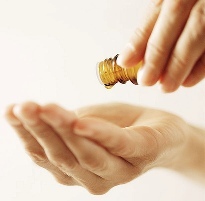 Since then, these essential oils have been used to heal and cure ailments. According to research that takes place at Weber state university: From 67 essential oils that are tested, 66 of them are antibacterial agent, such as cinnamon bark, oregano, ravensara, peppermint and mountain savory, were all more powerful agents than penicillin or ampicillin. Thieves were shown to be 60% higher against bacteria, germs and anti bacterial action than either penicillin or ampicillin. Let us take the simple example of peppermint essential oils. It has been shown to have excellent anti-bacterial properties, so much potent that they could challenge the super drug, penicillin in this regard! Clove essential oils has been known for ages to help relieve dental aches and has superb outcomes, especially for cavity- related problems and gum related diseases. Eucalyptus essential oils is used to fight sinus problems and respiratory- related issues and the outcomes of the same are par excellence without any doubt! Other oils that are known to have anti bacterial properties are lemon oil, cinnamon bark, oregano, juniper and palm rose. It is just not enough to know which oils are good in fighting these germs. It is the method of application that is of utmost importance. For sinus and lung-related issues, the antibacterial essential oils listed above can be mixed with water and the steam of the mixture can be inhaled for quick relief. This method is especially good because it reaches the “problem area” and can cause effective relief in minutes! Also, for skin lesions, local application of the therapeutic oil can help get faster results. If you remember the old ways that our mother treating us when we're having cold is by using Vick's Vaporub in a humidifier. That common drug contain eucalyptol, thymol, and menthol. Those components can be found in eucalyptus, thyme and mint essential oils. How to make a homemade humidifier? Add a few drops of essential oils into a small pan of simmering water and take a pan off the heat, cover your head with towel to catch a steam and inhale. There are always two sides to one coin. One has to be careful while using these oils. When bought from the store, these oils tend to be highly concentrated. Hence, caution needs to be exerted when using it directly on skin or for local application like for teeth and gum related problems. Always take less amount of oil when using it directly without dilution. This is not only as a precaution but also to avoid any allergic reactions to the application of excess oil. This way, not only will it help therapeutically but also a small glass bottle of oil will suffice for a long time, thus being cost effective. In a nutshell, antibacterial essential oils are hands down the best way to naturally fight the germs. It is always recommended to take the natural cure rather than worry about the doses and adverse reactions to synthetic drugs. Oils have many advantages, hence using it for one purpose serves another unknown purpose as well. For example, when clove oil is being used to relieve pain due to a cavity, it also helps strengthen the gum, thus leading to a good overall oral care!